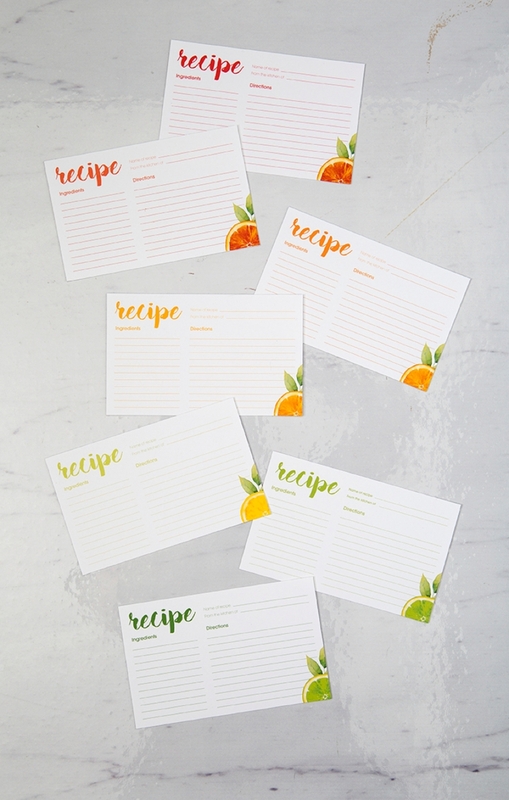 Check Out These Adorable, Citrus Recipe Box Printables! Hello, lovelies! 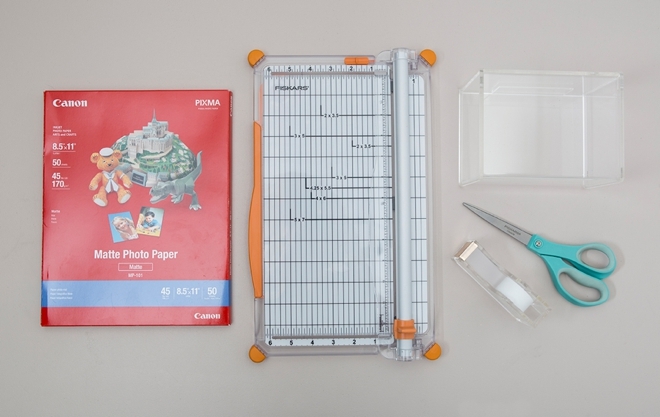 It’s my favorite day of the week, #DIYfriday hooray! 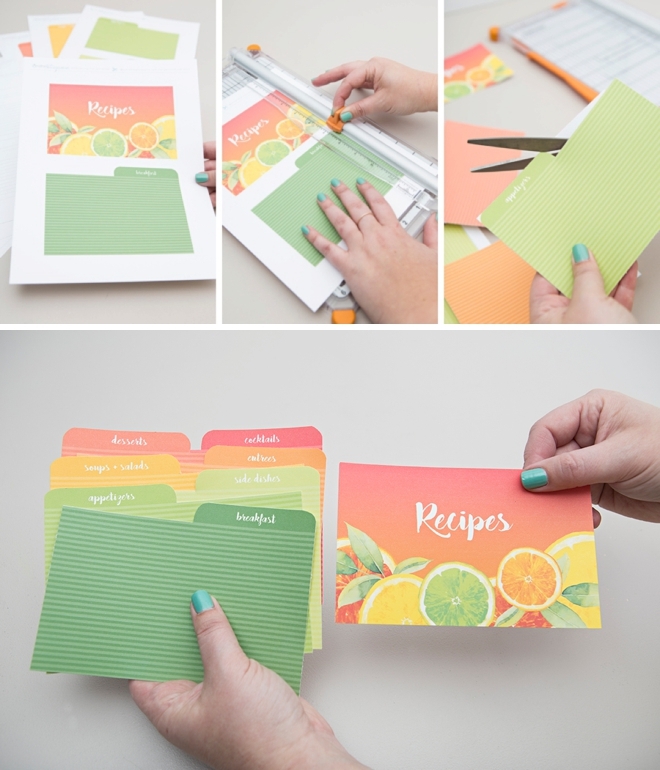 Today’s project is a bright and fun idea for collecting special recipes from all your favorite women. 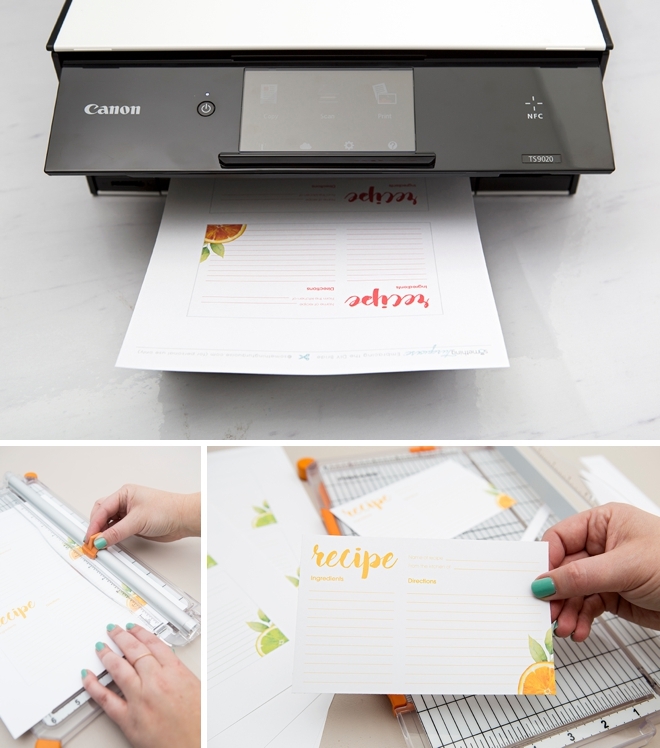 I’m using my brand new Canon PIXMA TS9020 to print all the recipe cards and dividers to create a super special box, just waiting to be filled with fabulous recipes. 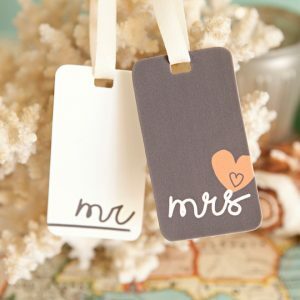 This is something I desperately wished I would have done for my bridal shower. 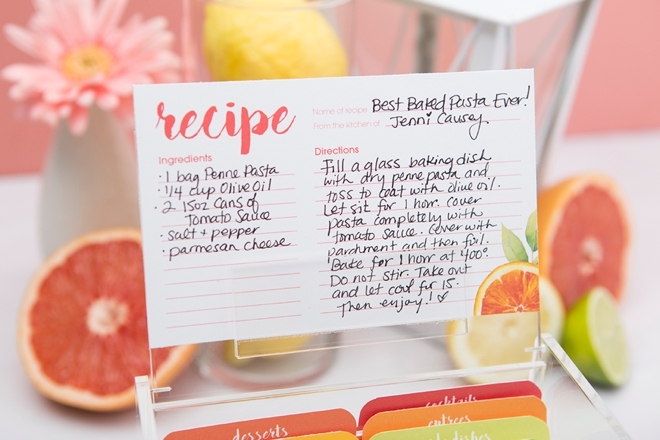 Simply send a blank recipe card in each shower invite or have your guests fill the cards out at your shower on the spot. 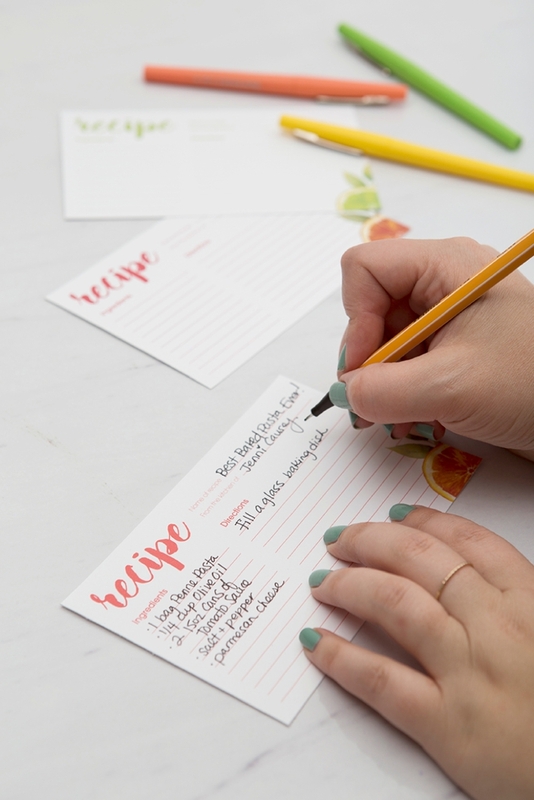 Either way, you’re bound to receive a wealth of cooking knowledge that will double as the most darling keepsake! 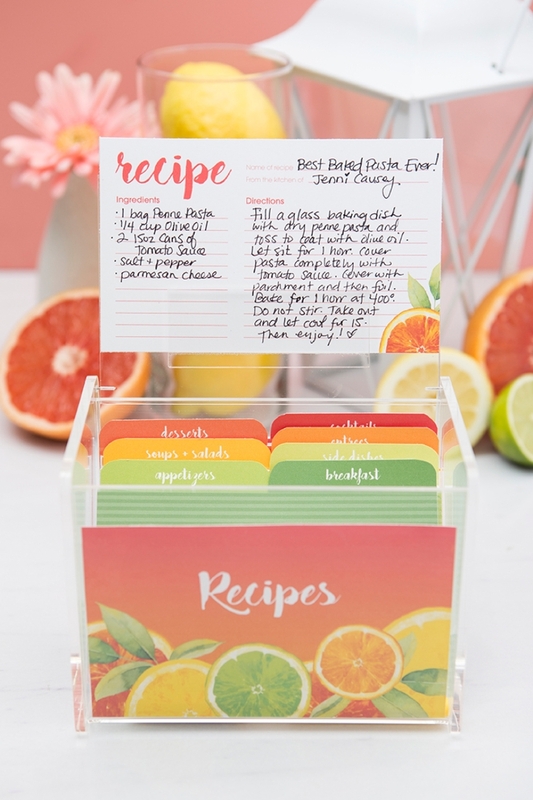 This DIY recipe box project isn’t just a great idea as a bridal shower keepsake, it would make a fantastic gift for any gal who likes to spend time in the kitchen! 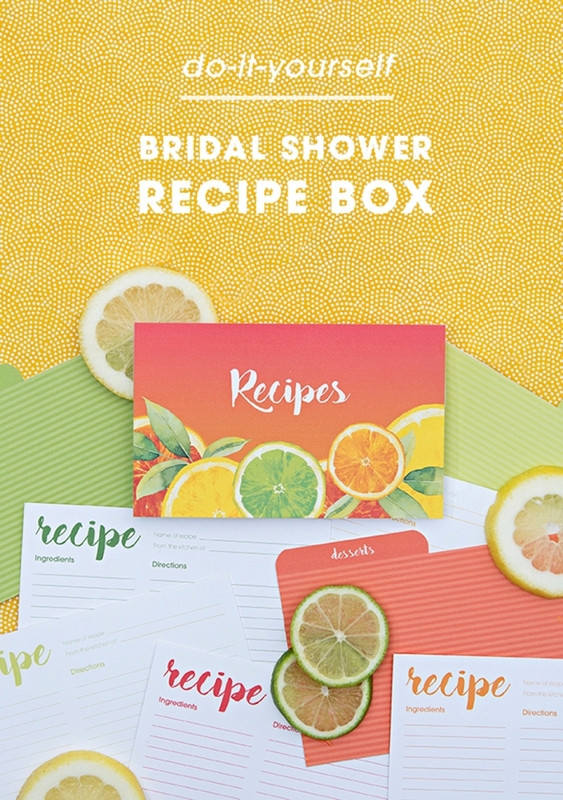 You could print, cut and gift this box for a bridal shower gift, a birthday party or maybe even Mothers day! 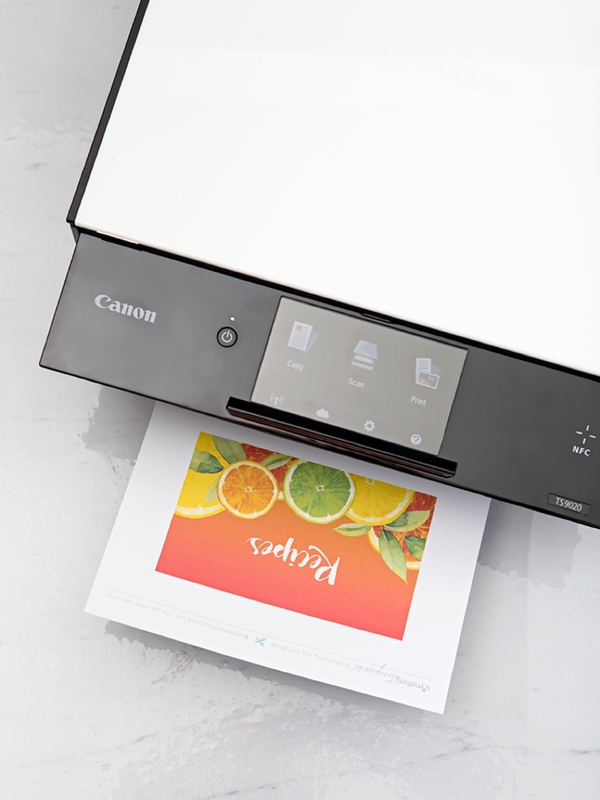 I used my brand new Canon PIXMA TS9020 to print out all the designs in today’s project. When printing lots and lots of things like I had to do here, I love that this printer is super quick while maintaining exceptional print quality. 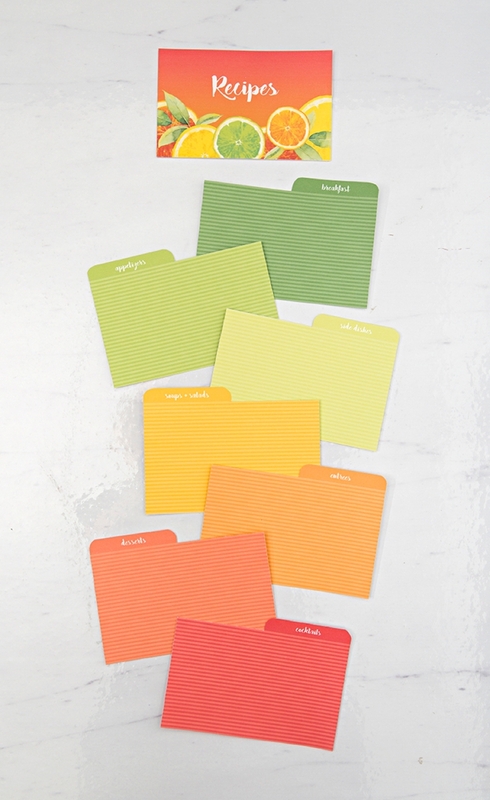 Aren’t these colors gorgeous!? 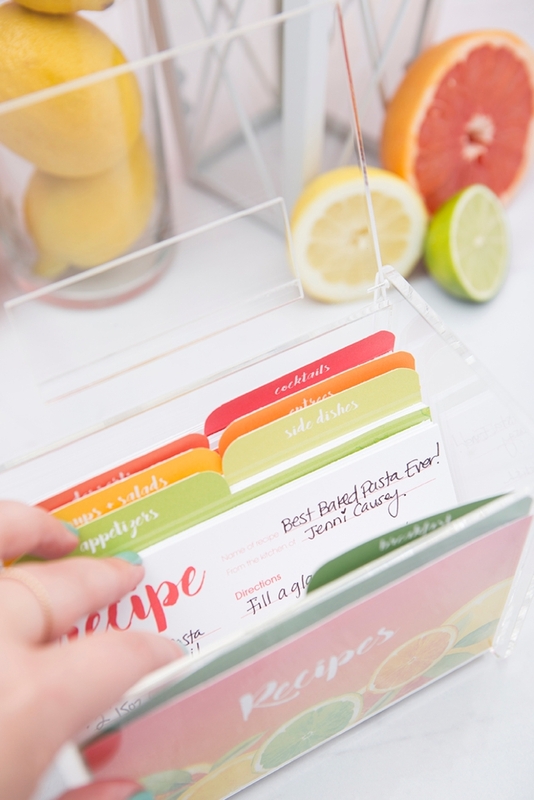 We’ve created 7 dividers for your recipe box: breakfast, appetizers, side dishes, soups + salads, entrees, desserts, and cocktails. 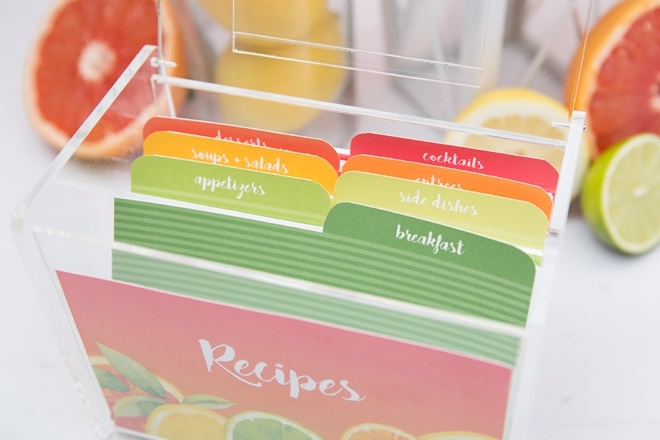 Carefully cut out each one using a paper trimmer and then round the corners of the tabs with a pair of scissors. 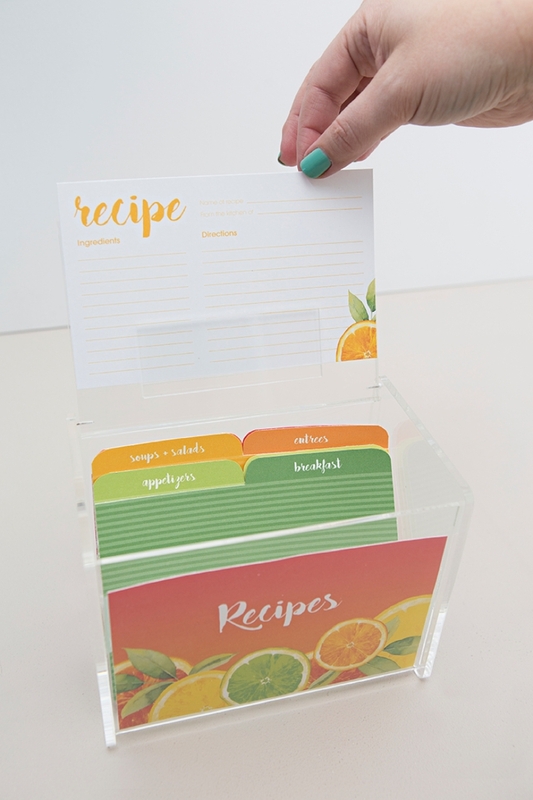 Print all 7 colors of the recipe cards or just choose to print your favorites, it’s totally up to you. 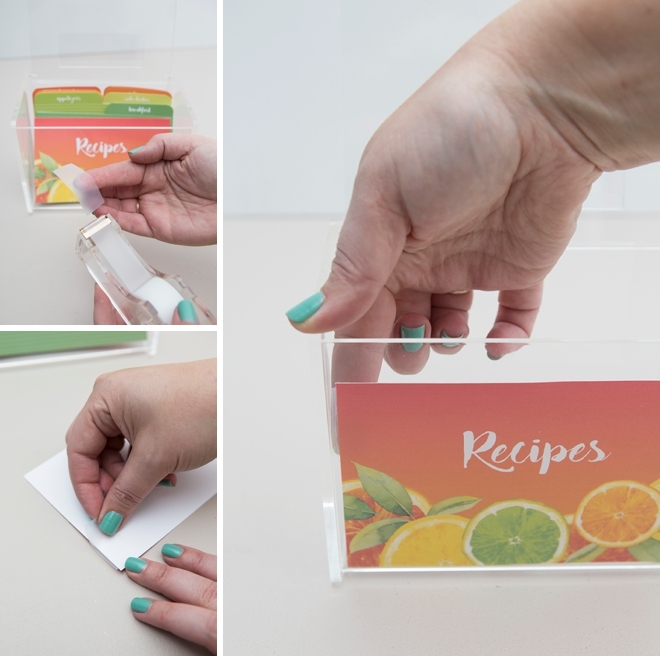 Add a few pieces of tape on the backside of the “Recipe” card and adhere to the inside of the acrylic box. 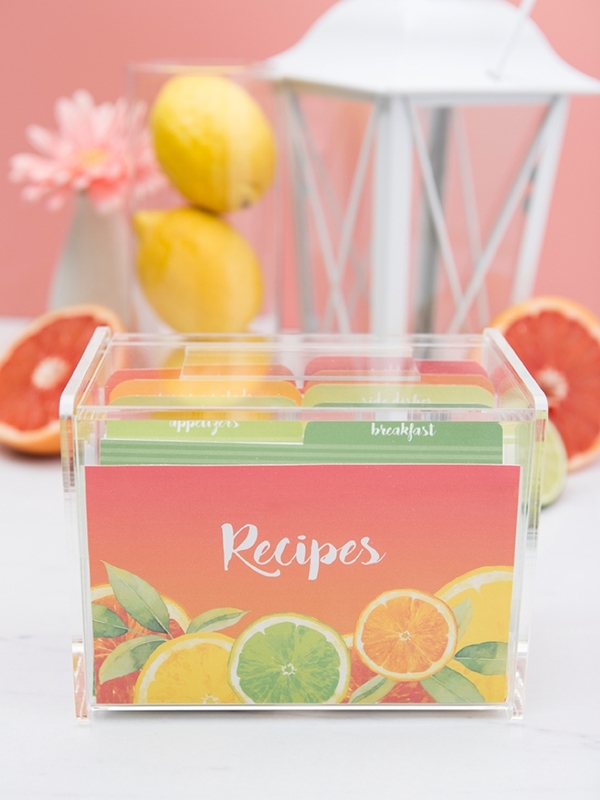 My favorite part of this box is the little clear tab on the underside of the box top that will hold a recipe for you while you cook – so cute! 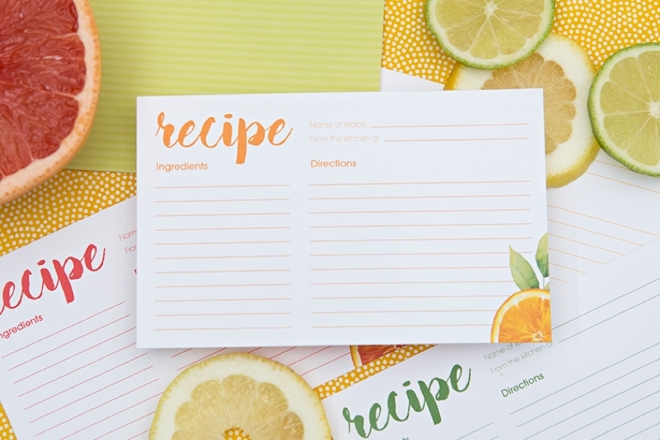 You have a couple options when it comes to gathering recipes for yourself. 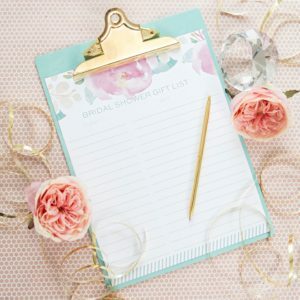 You can put a blank card in each bridal shower invitation and ask guests to bring them to your shower already filled out or you can ask your guests to fill them out on the spot at your shower! Need more cards? Did a divider get ripped or covered in marinara sauce? No problem! 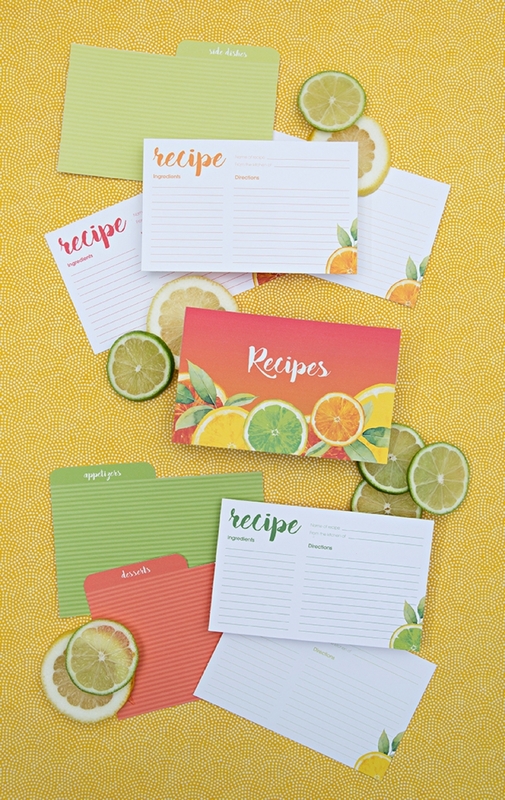 You can always re-print or simply print more!